But few of the 60 million Americans who cast their votes for Trump want to see a more top-heavy America. Inequality created the presidency of Donald Trump. Will that presidency now create more inequality? That remains to be seen. Precious few of the 60 million Americans who cast their votes for Trump want to see a more top-heavy America. Most Trump voters—and most Clinton voters, too—see an American economy rigged to advantage the nation’s wealthiest. Donald Trump has no plan for shrinking the wealth and power that rests so heavily upon the rest of us. But his voters, the balloting Tuesday shows, do stand ready to support concrete initiatives that directly challenge privilege. In red-state South Dakota, where Donald Trump won 62 percent of the vote, a bipartisan coalition to rein in predatory lending crushed industry opposition to ending business as usual, despite being outspent by a ratio of 16-to-1. Short-term payday-loan interest rates in South Dakota currently average 574 percent. The measure that passed on Tuesday—with astounding 76 percent support—sets a 36 percent cap. The key to building that support? Reynold Nesiba, an economist at Augustana University in Sioux Falls and an activist with the state’s Cap the Rates Coalition, told us that patiently working across party lines made all the difference. In another red zone, Arizona, voters passed minimum-wage increases and gave the green light to a ballot initiative that also includes earned-sick-leave protections. In the Arizona city of Flagstaff, economic justice advocates scored a major win by boosting the local minimum wage to $15 an hour and phasing out the sub-minimum wage for restaurant servers and other tipped workers. 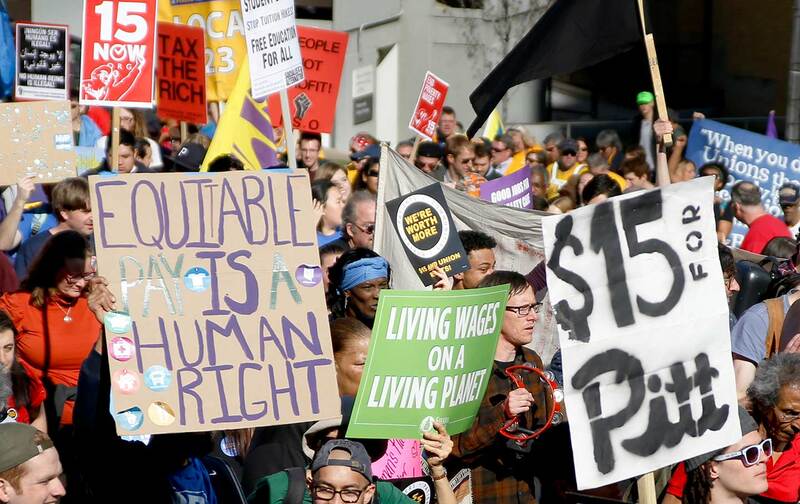 Four states in all upped the minimum wage on Election Day. And voters in one state, California, set their target on incomes at the other end of the economic spectrum. Sixty-two percent of Californians voted to support Proposition 55, a measure that keeps in place California’s top tax rate of 13.3 percent on incomes over $1 million, the highest state income-tax rate in the nation. Thanks to this initiative, California will have over $4 billion—and possibly as much as $9 billion—in additional annual revenue for health and education. A similar measure in Maine to raise taxes on wealthy individuals remained too close to call at press time. In the coming weeks and months, progressives will need to take a closer look at Tuesday’s various ballot-box victories—and build on the lessons they offer. We also need to learn from the lessons of history. The original Gilded Age of extreme inequality, let’s remember, gave rise to both progressive prairie-fire populism and nativist and racist drives against immigrants and people of color. The struggle to overcome that original Gilded Age took decades. Along the way, progressives suffered crushing defeats at the national level, including reformer William Jennings Bryan’s loss in the 1896 presidential election and then again with the Red Scare right after World War I. Those setbacks could have left our progressive forebears convinced that plutocracy would always prevail. But those progressives pressed on. They pushed ahead in workplaces and at the local and state political level. They set the stage for a mid-century upsurge that slashed plutocratic power down to democratic size.